2011 – Aug 4 – Havers and Blethers: Spoken Word Fringe Show, Captains Bar, Edinburgh. Read an extract of ‘A Lady’s Unfinished Vendetta’. 2011 – July 3 – Illicit Ink’s Midsummer Murder Mystery, Cabaret Voltaire. Read an extract of ‘A Lady’s Unfinished Vendetta’. 2011 – May 1 – Illicit Ink’s The Faery Court, Cabaret Voltaire. Read ‘The Shaman of Stories’. “The freaks who brought you Love Sick are back to present another evening of funky prose. This time the theme is faeries, fairytales and other mythological stuff, and is encouraging the dark, the different and the slightly weird. Basically, if you’re the kind of person who’d pick the wings off faeries (with or without eating them) this is the event for you.” Illicit Ink is an awesome spoken word and storytelling group, formed by the students of Edinburgh Napier University’s Creative Writing MA. 2010 – Aug 30 – Edinburgh International Book Festival, Charlotte Square, Edinburgh – Writing Into The Future: The Best from Scotland’s Creative Writing Courses. Read the opening chapters of my novel ‘A Malaysian Dark’. 2010 – Aug 3 – Havers and Blethers: Spoken Word Fringe Show, Captains Bar, Edinburgh. First public reading. Read the opening chapters of my novel ‘A Malaysian Dark’. 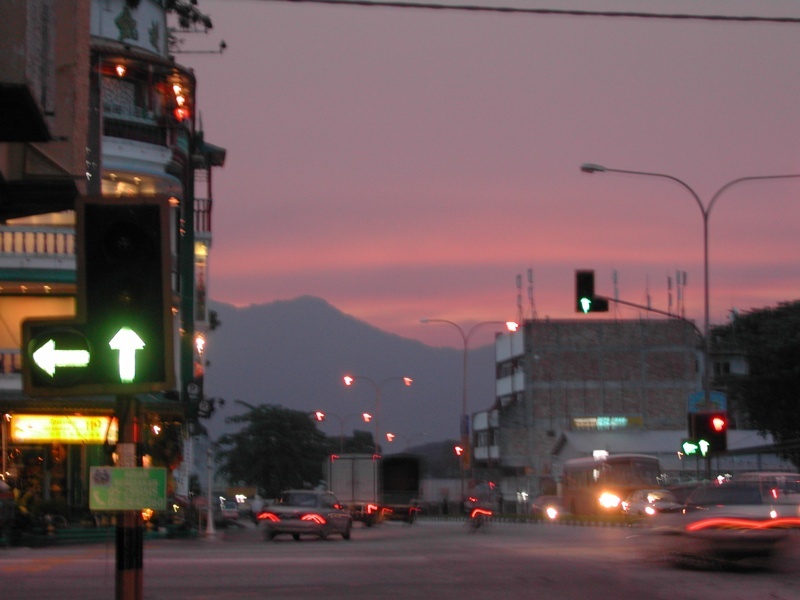 Sunset at Ipoh City, Perak, Malaysia. How lovely to meet a fellow Malaysian writer, and OMG, are you from Ipoh as well? I so recognise that picture! It’s near Pasir Puteh, where my parents still live! That shop on the left has changed from restaurant to restaurant to furniture shop! Small world, eh? Hello there! Yes it is indeed Ipoh! Good spot, and so nice to meet you!